George Waddell Snedecor was born in Memphis, Tennessee. He studied mathematics and physics at the Universities of Alabama and Michigan and became a professor of mathematics at Iowa State University. While there, he offered the first statistics course and began a famous collaboration with Henry A. Wallace, then editor of Wallace's Farmer in Des Moines, but later vice-president of the United States. They were interested in agricultural research, organized a seminar to study multiple regression, and did pioneering work in the use of punch cards and punch card machines. Jointly, they published Correlation and Machine Calculation in 1925, established a Mathematical Statistical Service in 1927, and the now famous Iowa Statistical Laboratory in 1933. 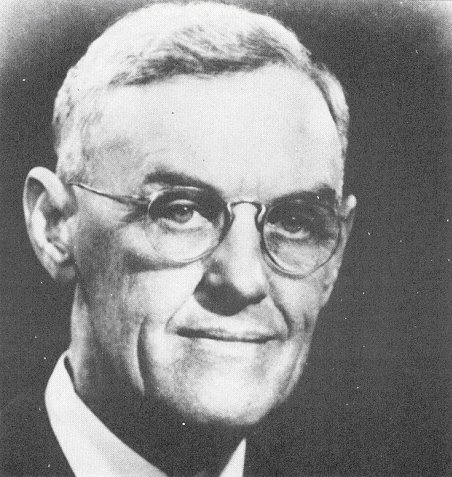 In 1931, Snedecor had invited Ronald A Fisher (Biography 13.1) to Ames and this meeting set in motion developments that produced many of the techniques that are discussed in this chapter. Among the visible signs of this development was the founding, at Iowa State, of the first Department of Statistics in the United States, Snedecor's presidency of the American Statistical Association, and the publication by Snedecor of two famous works: Calculation and Interpretation of Analysis of Variance and Covariance (1934) and Statistical Methods (1937). The latter work, ultimately co-authored with William G. Cochran, went through seven editions before the death of both authors and sold more than 125,000 copies. Source: 0. Kempthorne, "George W. Snedecor," International Statistical Review, 42, 1974, pp. 319-321.